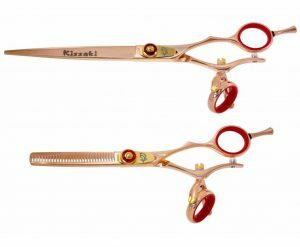 Gokatana 6.0″ SLV B Double Swivel Hair Scissors. 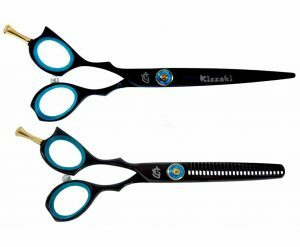 Introducing the Kissaki 6.0″ Gokatana Double Swivel Hair Cutting Scissors with blue easy click tension adjustment knob. 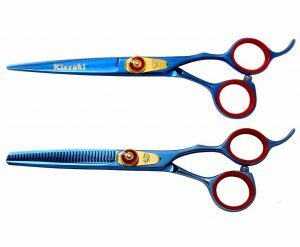 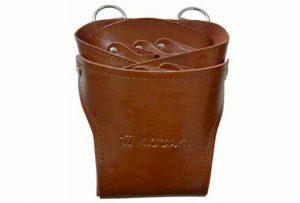 The thumb swivels a full range of 360 degree motion, making it a great hair shears for reducing and preventing Carpal Tunnel Syndrome and painful cutters cramp. 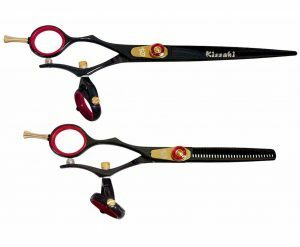 The Gokatana 6.0″ SLV B Double Swivel Hair Scissors is an ideal Swivel hair shears for Cosmetologists, Professional Hairstylists, Hairdressers and Barbers in high volume hair cutting salons.